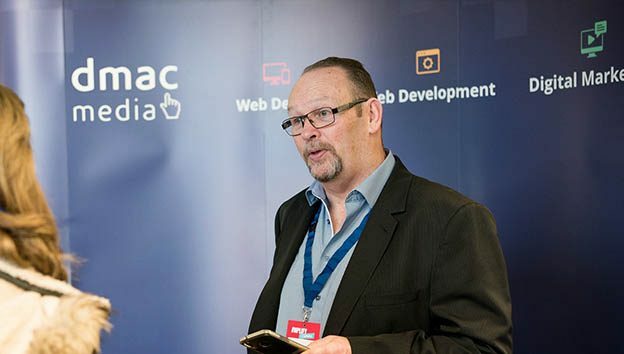 Working at Dmac Media for the last 9 years as an Account Manager I’ve learned a lot about all the disciplines involved in and around Web Design, The actual design process, the User Experience, Post Launch Optimisation, SEO, Content Writing, Digital Marketing, Google Ads, Social Media Marketing etc. Working with my customers to build their businesses online I have a fairly large range of skill and understanding of the online market place. By attending conferences and going to networking meetings I always find something new to add to my repertoire. I’ve chosen to highlight a few speakers that I personally found either informative or inspirational. 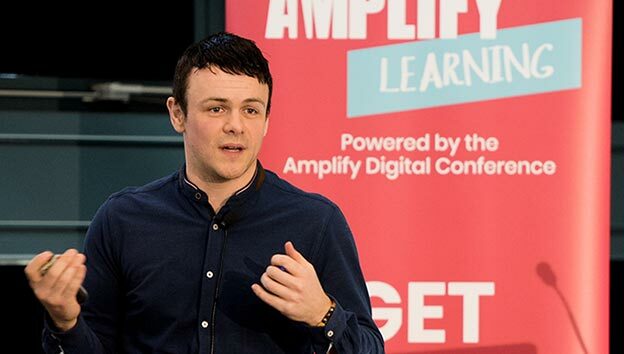 My favourite presentation of the day came from Shane Murphy & Dan Sweeney – Co Founders of Digi-guys, now re-branded as “PLAY Creative Agency” I must take my hat off to the two lads from Cork who are making waves with Marketing Video’s for high profile businesses across Ireland. They appeared on stage in video, rather than in person. The video introduction was immediately engaging, I was hooked! They added humour, wit and wrapped it up in their personalities. I immediately wanted to see more, then low and behold they appeared in person on the stage with buckets of useful information. The boys went on to tell us about Video production, how to get started, what equipment you might need etc. Their answer was music to my ears, “Just get your phone out and start!” They exclaimed, begin at the beginning and develop your skills as you go. A good bit of advice was to shoot a long video and then use parts of the video on different platforms. Now to be fair, that’s probably beyond most of us, but it resonated with me as we write long blogs (like this one) then take snippets from them for use on Social Media platforms. Add Value back to your clientele, offer discounts, special offers etc. The average word count for page 1 ranking websites is 1,890 words – So Content is still King! Mobile first: Page speed loading is probably the Queen to the content King- your website has just 3 seconds to load before the average consumer’s patience is tried and they press the back button! Influencer Marketeers are growing in Ireland. Bloggers and video bloggers are now influencing the publics buying choices. * Brands are dedicating more resources to influencer marketing because it works. Today, 81% of consumers regularly purchase items having seen them shared on social media first. According to a study by Collective Bias, 60% of in-store shoppers are influenced by social media and blog posts. Plus, 70% of millennial consumers make purchasing decisions based on recommendations from peers. 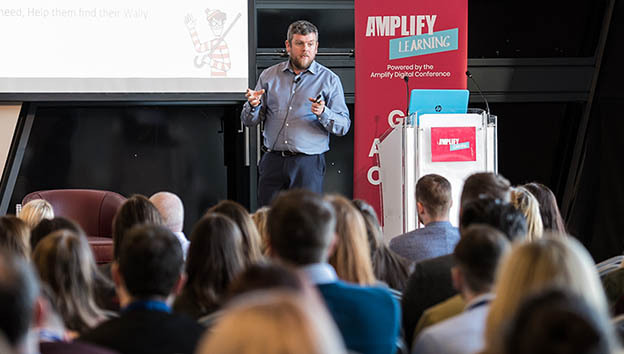 The day moved on and some of the presentations overlapped with other speakers as you might expect, but the next speaker that caught my attention was, Gearoid Buckley: Senior Demand Generation Manager at LinkedIn. Gearoid began by talking about his role in LinkedIn. He is responsible for the online marketing strategy for LinkedIn, and has been for the last five years. I think he knows his stuff! He’s been engaging with SME’s to demonstrate the values of both Organic and Pay per Click advertising on LinkedIn. Now I must confess I’m not a Digital Marketer, I’m an account manager, so I wasn’t well versed in the benefits of B2B networking and marketing on LinkedIn. But I soon got my education. Gearoid explained the similarities between Digital Marketing Strategies using Google Adwords, Google Shopping and Social Media PPC campaigns. Firstly, he defined LinkedIn as a Social Media Platform. Surprised? I was., It is primarily a professional platform or network and I had never really thought of is as a “Social” platform, yet I write, read and share posts on it much like I do on Facebook. I guess LinkedIn is as much a Social Media platform as any other, just without pictures of your baby, cats falling into toilets and all those infernal videos of people having near misses or painful looking spills from skateboards. So where is the Marketing opportunity on LinkedIn for SME’s? First things first, make sure your company profile is whole and complete. 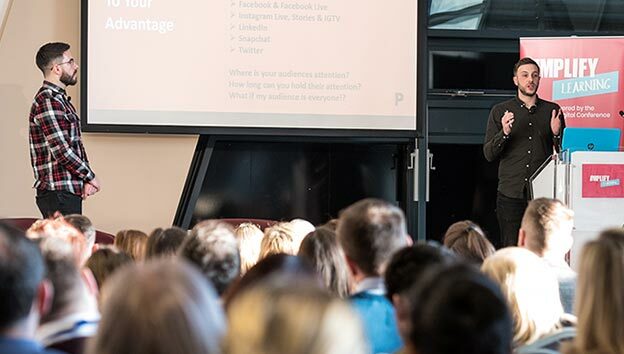 There are lots of blog posts on how best to complete your company profile on LinkedIn – https://buffer.com/resources/linkedin-marketing-strategy – But always do the obvious in making sure it’s up to date, don’t keep old employee profiles active and make sure there are no typo’s! Post something relevant to your industry/business weekly or monthly or whenever possible. Like and follow other people, join groups, follow your peers and in short, get familiar and present in your larger LinkedIn community – Remember if you’re not in you can’t win! Back to the basics of Digital Marketing on LinkedIn. I suppose the key difference between LinkedIn and other social media platforms is that everyone on LinkedIn is in business in one way or another. From Owners, MD’s, Senior Managers, Marketing Managers right through to employees and people seeking employment. So, if you design the right campaign strategy you are in effect, marketing to a captive audience. You can customise and segment your campaign adverts and put them in front of the exact person/persona you want to reach. Happy days! Businesses that post at least once per month have been shown to gain followers 6X faster than those that don’t. Company Pages with at least 150 followers typically get 5X more Company Page views than those with fewer followers! Gearoid went on to tell us how easy the Self-Service Advertising platform is to set up, how easy it is to create and manage Campaigns, Ad formats supported in Campaign Manager are Sponsored Content, Sponsored InMail and Text Ads. You can also engage with a LinkedIn marketing expert to produce carousel ads, target marketing campaigns and re-marketing strategies. Overall, even for people who have been in the industry for a long time, attending the Amplify Digital Marketing Conference is very worthwhile, as it is a unique opportunity to learn from the experts, to chat with them and more importantly you’ll be networking with potential partners and future business connection. Write interesting and inspiring Subject Lines to get your email opened! If you want to get your emails opened by an important client or a new prospect? Then there are two things you must never do and three things that will increase your chances of getting your email opened. Never ever use Subject lines like these below. Doing so will drive your email straight into the Spam or Junk folder! 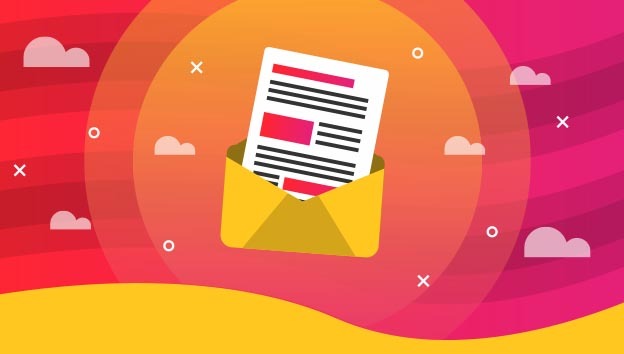 The question you should always ask yourself when writing an email subject line is: “If you received this in your inbox would you be motivated to open it? Or would you delete it?” Do your Research, use your Imagination, make your email worth opening! Add value to the recipient. When getting started, first figure out what the objective of your email is. Is it a genuine follow up to a meeting, is it a follow up to a product purchase or is it a Cold Call? Understanding the context of the email you are sending will help a lot with the subject line and what you’re saying in the body of the email. 1. Keep it Short: Keep your Subject line to less than 10 words, 5 if at all possible. Imagine you are a busy manager, MD or business owner, how many emails do you receive each day? 20, 40, 60 or even more? How many of those are important to you, valuable to your business or are intriguing enough to make you read them? 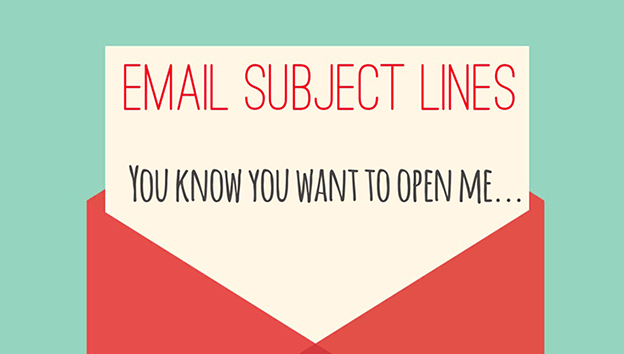 Put yourself in the shoes of the recipient, would you be motivated by your subject line to open the email you sent? If you are cold calling via email, expect a read/response rate of zero! Although you may occasionally get an irate response from someone who’s had one too many spammy emails. Do your research and reach out to customers who would genuinely benefit from your product or service. Always comply with GDPR best practices. One of the major fear factors for real world retailers, when they are stepping into ecommerce, is the challenge of managing stock. If most retailers are honest they will confess that their real-world stock management is patchy and are terrified at the thought of selling something they don’t have in stock. This is one of the most common roadblocks we help retailers overcome and we have seen all sorts of solutions. Here are my top 5 from the lowest cost and complexity to the highest. They will give you some insight into the best way forward for you. Believe it or not a staggering number of retailers select this option. They rely on there products being easy to source from suppliers to cover them. If you have strong ties with suppliers, this can be a low-cost way to get started as your website does not need to carry out any stock checking, it is either available or not, black or white. As retailers put more and more stock online and the order volumes start to increase it can be harder to keep customers product moving. Alternatively, you might not have steady supply chain, and this means you need to operate a more flexible stock file. The low budget option for this is to use a stock file update within your website. Usually this consists of a CSV file upload option that lets you update product lines in bulk. You need to be sure the uploader can handle complex product variants if you are using options like size, colour or type on your website. This can be a blunt but effective instrument for manging stock but needs manual intervention on a regular basis to work well. Almost any Epos in operation today can create and send reports to servers. With this option you can send an automatically generated stock file with stock volume and price for each product to the website. The website will generally run an update check one to two times a day looking for a fresh file and update the website from there. It is very much a one-way street with product data only going from the EPOS to the website and no return website order data. Your Epos provider may charge for enabling this solution but as it is relatively low tech it should not be to excessive. a) this is still not live stock as the website will only update on a fixed time schedule. This is usually the higher end of the available options but is worth a look if you have the budget. More and more modern epos systems offer an API environment. This lets your website developers used pre-set calls between website and epos to check stock volumes on the fly (when a user browsing your site for example) or mark stock as reserved at the point of order confirmation. It is truly live stock management. It requires a good Epos system and good stock management policies with staff involved but if you can afford it you have a much better satisfaction rating with customers and much lower refund rate. To sum up there is more than one way to handle stock and if you are just getting started you can manage without for at least a while. If you are trying to decide on a good epos, make sure you ask the vendor about the web service options available and get a feel for what they cost. If your understanding of marketing attribution is cloudy, don’t worry you are far from alone. Many digital marketers & traditional marketers feel at sea when it comes to attribution models. In this article we throw you a life ring and help you find your feet when it comes to marketing attribution. Attribution as a whole relates to the business of assigning credit to a marketing channel. Before we get into the nitty gritty of it all, let’s firstly clear up some of the digital marketing jargon your likely to come across during this piece. If I had a penny for every time I have been asked to explain what a conversion is, I certainly wouldn’t be sitting here writing an article on attribution. Essentially, a conversion is any customer action which you can define as being profitable for your business. A conversion can be anything you deem valuable for your company, from an email sign up to an online transaction. Conversions generally take two forms – micro or macro. Micro conversions contribute to the buyer journey and helps buffer a potential customer through your sales funnel. Macro conversions, on the other hand are the ultimate action you want your customer to take, i.e. request a quote, call your business or complete an online transaction. Secondly some metrics. Return on ad spend (or ROAS) and cost per acquisition (or CPA). Return on ad spend boils down to the amount of money a company receives for every euro spent on an advertising source i.e. spend €100 advertising, receive €1000 in revenue. Cost per acquisition or cost per conversion relates to the amount of money a company spends to generate a conversion action. i.e. Spend €10 and gain 1 email sign up or generate one call. Attribution is the process of assigning the credit for these micro & macro conversions to a marketing channel or set of channels, offering greater channel insight for marketing professionals. Doing so, can help optimise budgets, spend and even refine marketing efforts to drive an increased return on ad spend and lower cost per acquisition. Now that you have a basic understanding of what “attribution” is let’s examine it a little closer. There are a range of different models when it comes to attribution. Each model assigns credit differently to various channels used by a customer leading up to a conversion. These models can be categorised into last click or last interaction, first click orfirst interaction, linear, time decay or position based. Don’t fret if you’ve never heard of these models, we are going to examine each one closer. For each of the following we are going to use the following customer journey as an example. Last click or last interaction attribution model assigns the credit for the conversion the very last touch point used by the customer. Applying the last click attribution model to the above example would assign all the credit to the Google Shopping Ad click and nothing elsewhere. Has its limitations, right? 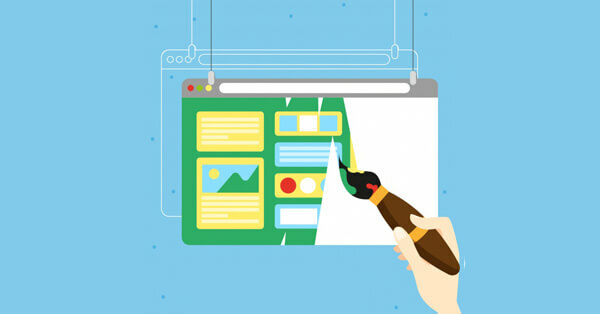 First click attribution performs in exactly the same manner as last click attribution, however in this case all the credit would be assigned to the first click that brought the customer your website. In the example above, this would mean your Facebook campaign would be assigned all the credit for the conversion, and why shouldn’t it, after all this is how the customer first found your website. But if you weren’t using Google Search ads or Google Shopping would that customer have bought from you or a competitor? The linear attribution model could be described as a fairer attribution model. In this instance it assigns credit equally among all touch points that led to the conversion. In the example given above, this would mean that 33.33% of the credit would be assigned to each of the three campaigns that contributed to the overall sale. Utilising a time decay attribution model gives greater emphasis to the clicks closer to the conversion. Essentially this model reduces the value of the first click and assigns greater credit to each subsequent click with the final click being assigned the most credit. 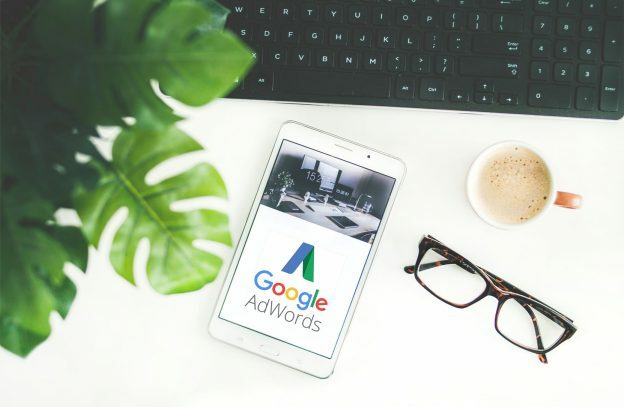 In the example above, 60% would be assigned to the Google Shopping Campaign, 30% to the Google Search Campaign & 10% to the Facebook Ads Campaign. Position based attribution assigns credit to the first and last clicks primarily, and divides the remaining credit among touch points throughout the customer journey leading to conversion. 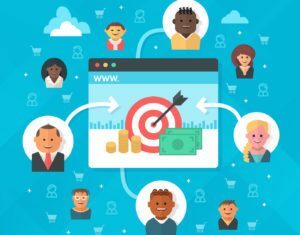 Essentially this attributes the most credit to what brought the customer to your site initially, and what ultimately led to their conversion and minimises the value of any intermittent marketing channels. In the above example 40% of the credit would be assigned to the Facebook Ads Campaign & 40% assigned to the Google Shopping Campaign, while the Google Search Campaign would receive 20% of the credit. Each attribution model has its own pros & cons and grasping the concept can prove quite tricky initially. When it comes to choosing an attribution model that’s right for your business, understanding your customer journey is key. If you are retailing a high ticket item, customers tend to spend much longer in the research and evaluation phase and so may visit your website numerous times before converting. In this instance, each touch point had a role to play in convincing the customer, so a linear or time decay model is most appropriate. 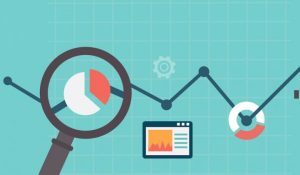 On the other hand, if your customers journey to conversion is quite short, and their overall spend is low, it is likely they will move to research and evaluation phase quite readily suggesting a last click or position based attribution might be most appropriate. While attribution is a rather complex, multifaceted topic, if you take away one thing from this article let it be this – no attribution model is perfect. Despite your best efforts, every model has is shortcomings and the pursuit of perfection can lead to unrestrained hair pulling and sleepless nights. In the digital world there is way too much of industry terminology and acronyms that are confusing and perplexing to us normal folk. In a business that bandies about insider jargon from conversion rates to latent semantic indexing, it is comforting to find something which does exactly what it says on the tin. A landing page is simply the page that you land on once you have clicked on a link (either in an ad or anywhere else). As the page where the link ‘lands’ you, a landing page offers a unique opportunity to engage potential customers to take immediate action. In the jargon of the industry, a landing page leads you to a CTA or A call to action. 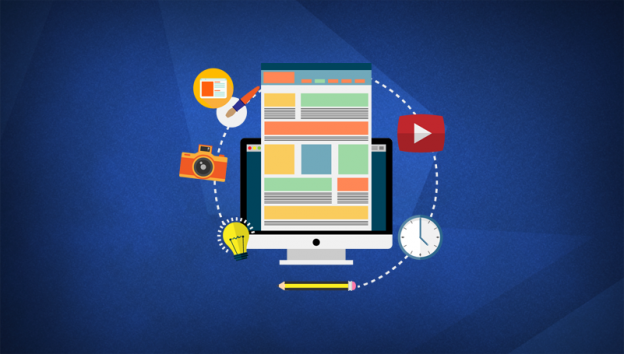 A good landing page is designed to generate leads or enquiries for potential client interaction. A good landing page gets you an excellent conversion rate, which in any language means that your clicks are turned to actions and ultimately, into sales. Make the invitation to your landing page enticing by crafting powerful & interesting headlines. Here’s a Good Landing Page Example. Have a clear, persuasive Call to Action: The main object of your landing page should be clear and persuasive. Give a simple explanation of what you are offering and an enticing invitation to action ‘Sign up Now!’ or ‘Create my account’…etc. Keep a consistent message: Mirror the wording of the ad or headline with the actual ‘landing page’ content. Research shows that potential clients get confused, and even irritated, if the landing page does not reflect the click invitation. It may negatively impact on your brand. Ask for the minimum amount of information: Prospective clients prefer a succinct contact form and can get a little nervous if you ask for too much information. Keep it to names, contact details and let the follow up do the rest. Swift Action on those leads: A potential customer who has communicated through the landing page option should receive an acknowledgement, a welcome email or follow up in good time to instil confidence and keep that ‘landing page’ working well for you. A successful landing page should yield a high volume of conversions and quality leads. If you would like more advice on how to tweak your ad’s and landing pages, contact our expert Digital Marketing team and start a conversation today. Social media: For some it’s their favourite past time, for others it is the bane of their life. 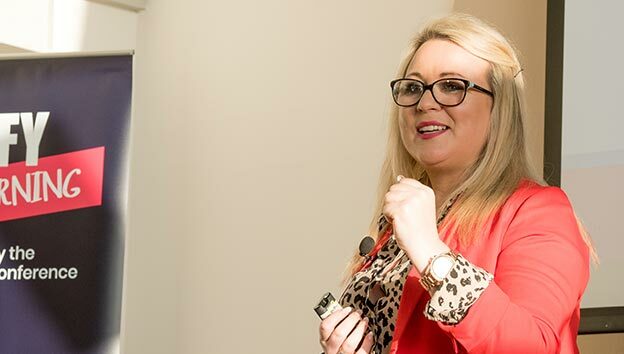 Love it or hate it, there is no denying it plays a massive part in all of our daily lives– so if you haven’t already, it really is time to embrace it, especially from a business point of view. With that in mind, this blog is going to focus on Car Dealers – although feel free to interpret any of the points for your own business. 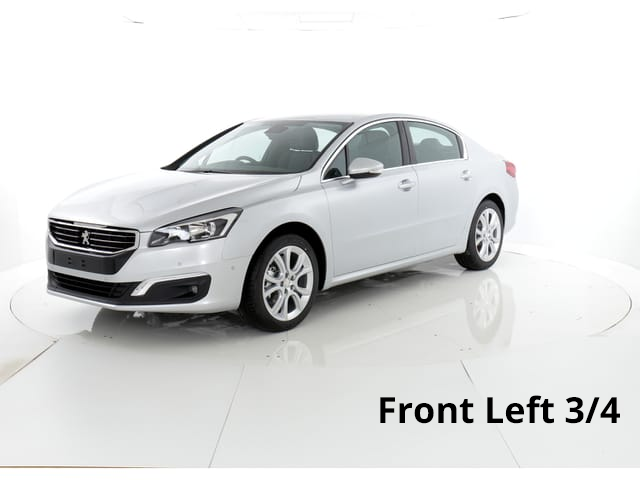 It’s common knowledge that Car Dealers are experts in their field in most aspects of traditional marketing (billboards, newspapers, brochures, radio ads etc.) You name it and they have it covered. It does seem however, that a large portion of car dealers (Not all!) do not utilise and severely underestimate the power of Social Media. 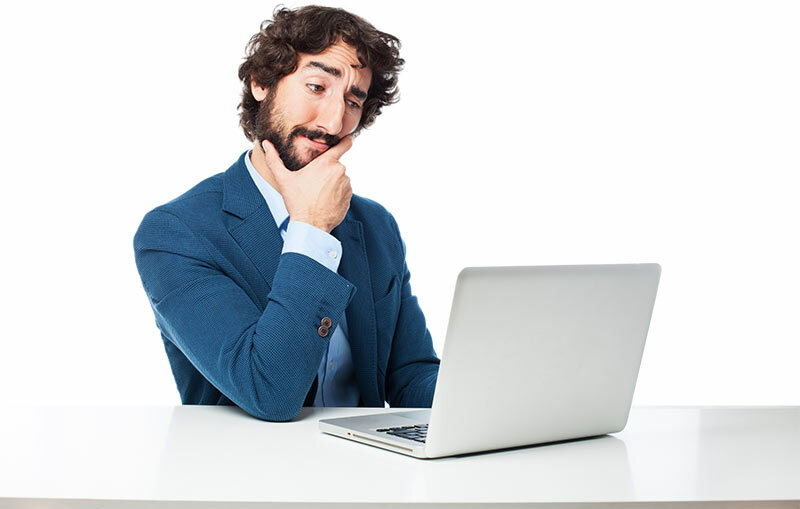 Perhaps it’s the typical scepticism that is within the Irish culture “Sure who would buy a car online?”, and although it is possible to buy a car online (yes really!) that’s not what this is about. What if I was to tell you that you can advertise your business to your customers for free? Would you jump at the offer? Of course you would! So many businesses forget what their objective is, so here is a hint – you are on SOCIAL media! This is the perfect place to add a personal element to your business, this is not however, the place to add your entire car directory and spam your customers with information and images. People are naturally nosey and any insights into the personal side of the business will generally be well recieved and create a personal attachment to a potential customer, that you have never even met. This can be the hardest element to begin with, but trust me, once you do you will be amazed how many post opportunities you will see each and every day. There is no “I” in team, so following on from point one about keeping it personal, you should show case your team. Make your customers feel like they know you and your team members, before they even enter the forecourt. Your team is what keeps your business going and not only will it increase their morale by telling the world how great they are, it will show the discerning public how valued the team really is. If you have a specialist in a certain area, then tell your customers all about it. If you are finding the balance of the first few points hard to manage, try Hootsuites Rule of Thirds – Hootsuites is a clever tool used for managing all you social media platforms. This clearly lays out that a third of your content should be business related. The next third should be the personal element, to promote your business and brand in a different, social way. The final third is the most general part, this can include local events, some humorous memes and seasonal activities. A simple and clever idea for car dealers is to feature a weekly top tip on how to maintain their cars. There are multiple social media platforms; Facebook, Twitter, Instagram, LinkedIn, YouTube, Google +, Pinterest, Snapchat, Tumblr, Flickr, to name but a few of the most popular ones. The most important aspect is to post the right content to the right platform. To give you some guidance on this there are some things to consider. You simply can’t Snapchat without a face filter! Does you’re Twitter have the right hashtag? But, most importantly is your photo “Insta” ready? If you’re even slightly confused about any of what you have just read, then you need to do your research before launching into multiple platforms. Remember to post quality over quantity. Another solid piece of advice is to start easy and walk before you run. Pick the most suitable platform for your business demographic and master each platform one at time before moving onto the next one. A big no-no is having inactive social media account. If you’re not using it – start now! This is the only tip that involves any input apart from your time. This one is a little more complicated and needs far more than a bullet point! 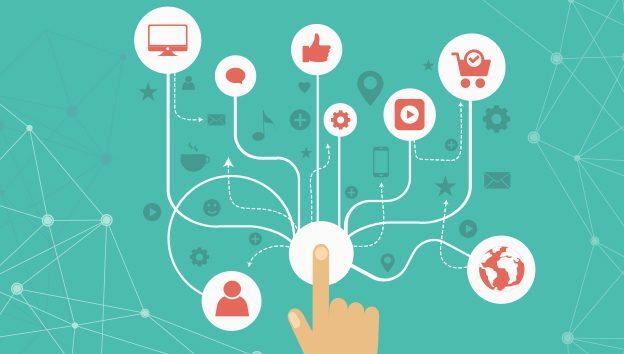 Advertising on social media, just as in traditional advertising, comes in many forms and can target a specific demographic tailored to your business. If you need advice on the best way to spend money on social media platforms, have any questions, or need assistance with your social media, contact the Dmac Media Digital marketing team today. Taking professional car images for your dealership. 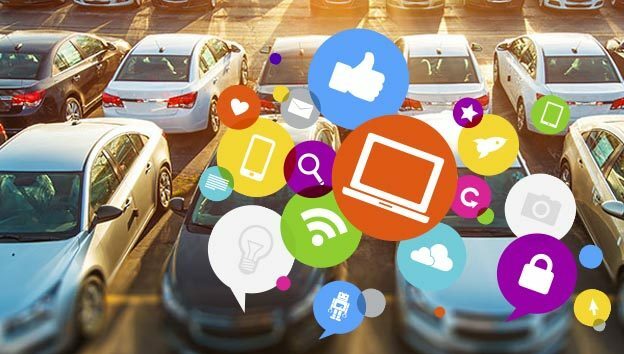 The digital landscape of car dealerships has changed massively in the past ten years. 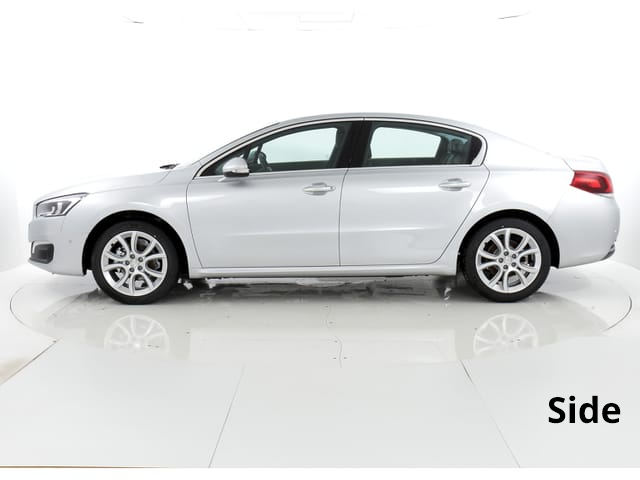 Your car showroom is now online, laptops, phones and tablets are now the first port of call for the new & used car buyer. 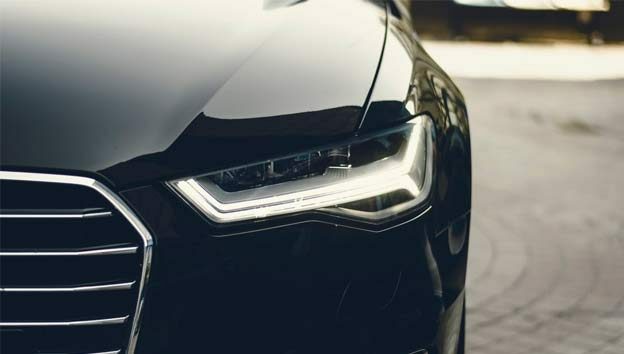 The online marketplace is becoming increasingly competitive as car dealers are constantly upping their game to stand out from the competition and the standard of car imagery has suddenly gone through the roof. As a car dealer you now have to also take on the role of ‘car photographer’ and put out consistently slick and professional imagery because, let’s face it, if your image is shoddy they’ll be scrolling right on by. So you have allocated the time resources and energy to shoot your own car imagery, here’s some tips to get the most out of your time. Choose your location wisely. Most importantly the location of all car photos should remain the same. This ensures your cars look uniform and professional when browsing online. Shoot against a large clean wall or some kind of generic scene that won’t change week to week and doesn’t have any distractions in the background. Remember cars are like giant mirrors so any reflections of passers by or other cars will be picked up. Invest in a decent camera that can be designated for the job ensuring photos are of high quality and look the same (switching cameras every time will produce different quality images). A tripod set up in the same place every-time means all cars and angles can be shot at the same height & distance. A ladder will allow you mix it up sometimes and get some interesting angles when the car calls for it! 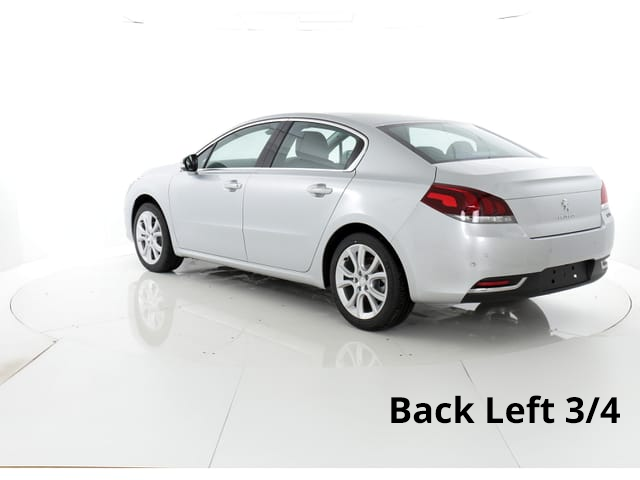 Photograph the same set of angles for every car, ideally you should move the car not the camera so that the background is the same whether shooting the front or the back. Any key features in the interior should also be shown off. Here’s a few examples that will give the customer a nice journey as they flick through your images. These images were taken at Kevin Egan Cars using a purpose built turn table. Expensive but the results speak for themeselves. As much as it saves time to upload straight from your camera if you can run the photos through an editor and apply the same settings or filter every time it will really add that wow factor and keep photos looking consistent whatever the weather. This free online tool allows you to quickly adjust the exposure or make the colours appear more accurate. You can even overlay your logo if you want to get really fancy! For more info on editing images check out our blog A quick way to resize and crop imagery without buying photoshop. Car photography is time consuming when done right. There are always guys out there to lend a hand and ease the burden. At Dmac Media we recommend Image Console. Image Console work with Irish car dealerships on a regular basis. 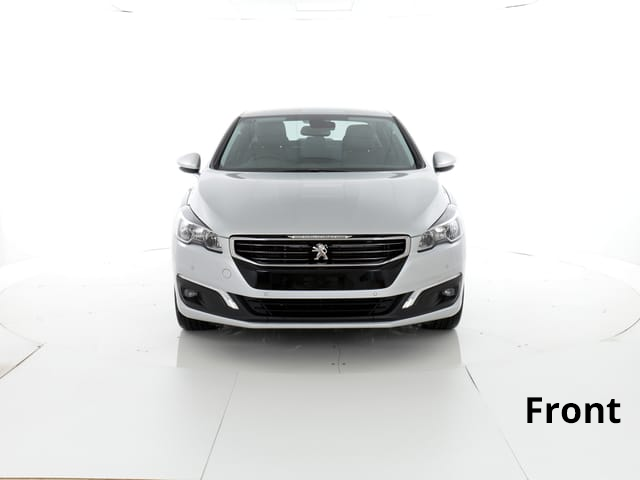 They can provide you with the training and equipment required to shoot great car imagery. Once you have great pics they will provide branded templates for your images and the platform to publish your images/videos on all required host sites. Once you have the basics looking great consider shooting some video content to really engage the customer who wants to explore a car even further. 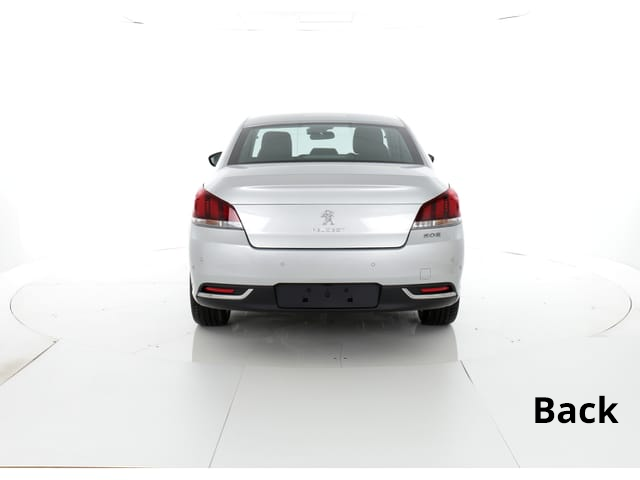 360 views are also fast becoming the leading way to give users an interactive and engaging tour of the car. Although expensive to set up they really take the experience to the next level. See example here. If you want to know any of the above please don’t hesitate to contact us here at dmac media. 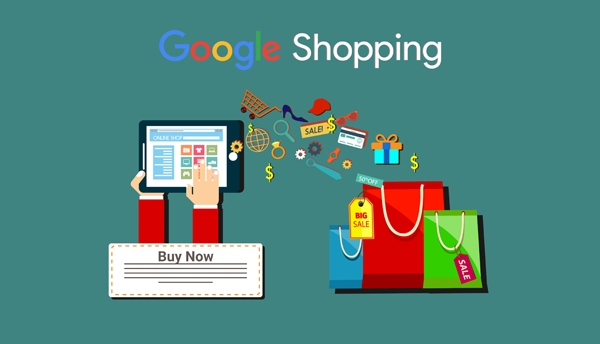 Google Shopping – What is it? 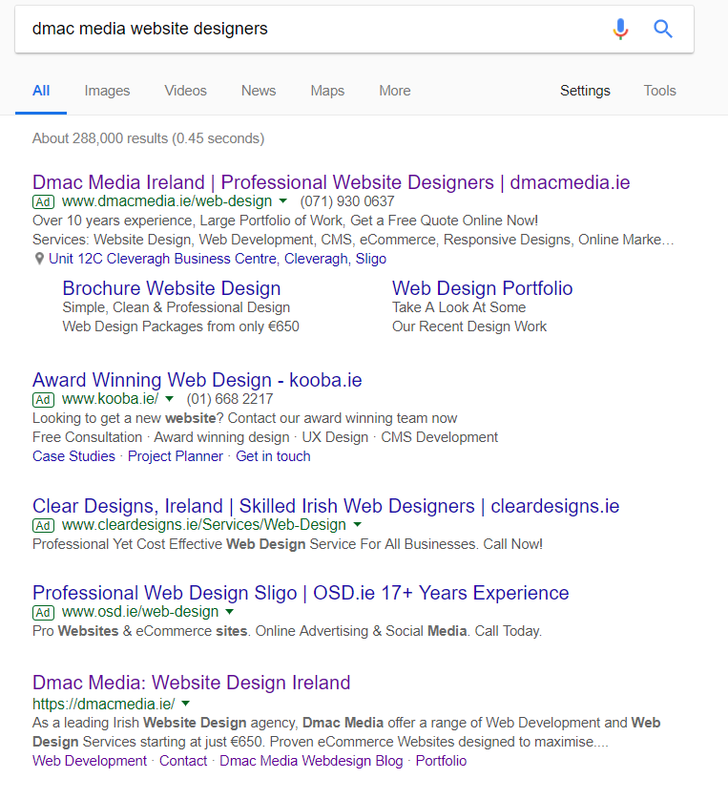 Over the past number of years, Irish Internet users will have noticed distinct changes in the layout and content showcased on Google Search Results Pages. From news articles to integrated maps, search results pages in 2018 are a far cry from their early 00’s predecessors. 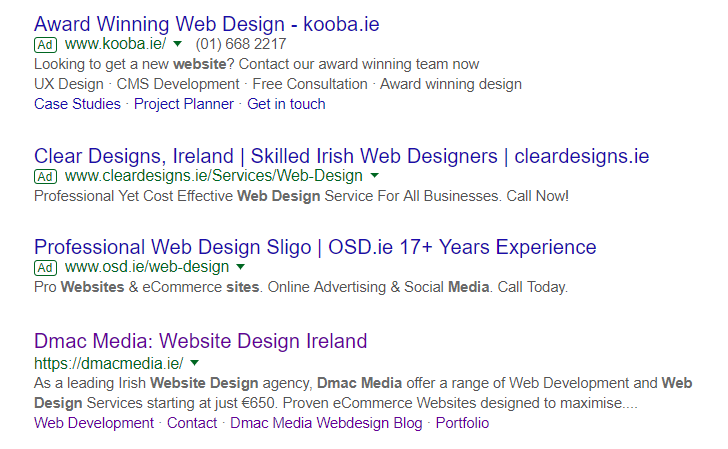 The latest addition to the search results pages in Ireland is Google Shopping. Google Shopping has revolutionised Ireland’s eCommerce landscape. But what exactly is Google Shopping and how does it all work? We often tell our clients that the key to succeeding online comes down to great content. In this video, Dave McEvoy explores why content is so important and why unique content feeds Google’s true objective – to provide a variety of credible sources of information about a topic, product or service. If your considering copying your content from another website you will think again after watching this video. If you’d like to learn more about writing great content, contact our Digital Marketing Team Today! Branded Adwords Campaigns – Why Your Website Needs One! It seems not a week goes by that we don’t field a call from a worried client who has realised that a competitor is trumping them in search results. While most of these calls tend to relate to organic or free traffic on websites, there is a growing number of our valued Dmac customers reporting their competitors are ranking higher than them on their branded search terms and loosing would be customers to competitors pay per click (Adwords) campaigns. Let’s start off by explaining what I mean by branded terms. Take ourselves, Dmac Media, as an example. We’d like to believe that our brand has become instantly recognisable to our customers. However people who are not yet our clients may be unfamiliar with us, but may have a small inkling about who we are, what we are about and our services. So let’s say someone searches for “Dmac Media Website Designers”. You’ll notice I have highlighted the words “Web Design.” The likelihood is that our competitors will have included the keywords “web design” in their own pay per click campaigns as they will want to be found when someone searches for “Web Design Company” or “Website Designers”. In turn their paid ad has the potential to serve above our own organic or free result and effectively hijack potential customers. So, we then have to put ourselves in our customer’s shoes. If we were researching a list of Web Design providers and a very compelling ad promoting a discount or intriguing call to action, the likelihood is we are going to click on it and become distracted and possibly never return to our initial search. Now if your business can afford to let customers choose a competitor at the final hurdle, stop reading now. The reality however, is most businesses can’t. Lost enquiries lead to lost revenue, and without revenue where would we be? The solution – running a small, low budget branded adwords campaign serving on your branded search terms i.e. Search terms that include your brand name. Branded Ad Campaigns ensure your customers find you. When we say low budget, we really mean low budget. For most small and medium enterprises in Ireland the volume of branded terms is quite minimal, meaning costs are kept low. Adwords has its very own signals for determining what ads to show and how much to charge called Quality Score. Brand based campaigns drive quality scores up thanks to the following three elements which your competitor won’t be able to rival. For branded adwords campaigns, getting a 10/10 quality score should prove to be no trouble at all. Are your ads relevant to the keywords chosen? Well yes, because the individuals are searching for your brand and in turn are being shown your ad. This also drives up your expected click through rate. Finally, ticking the boxes for landing page experience such as high page-speed, limited pop ups, easy navigation and good links then your well on your way to Branded Adwords Success.